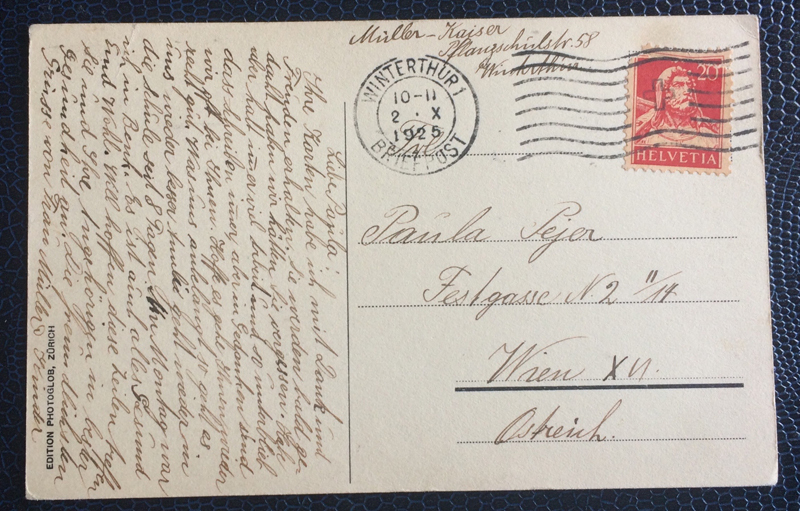 This postcard comes from Switzerland and goes to Vienna, Austria in year 1925. 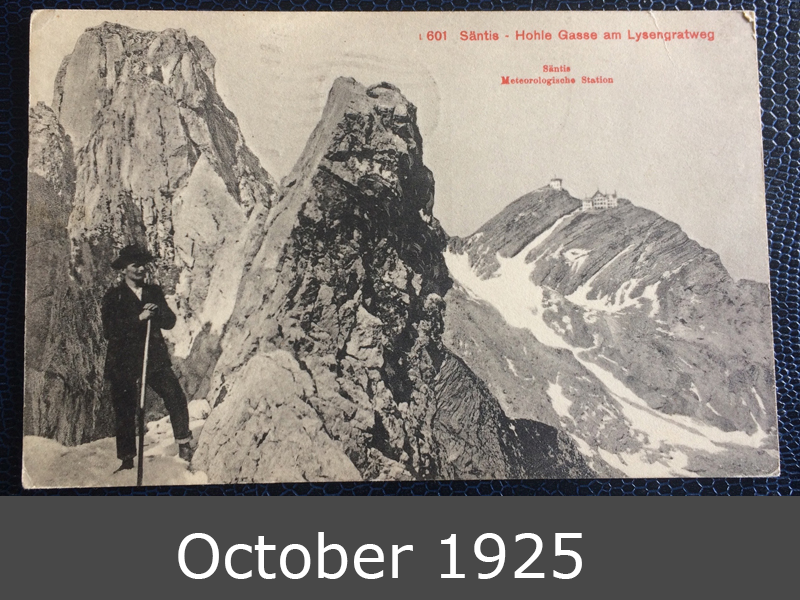 It shows (maybe) a Swiss mountain guide in Säntis on the “Hohle Gasse am Lysengratweg“. In the background you can see the Meteorological station Säntis.